Going into the headquarters of the designer Thom Browne, whose spring 2018 men’s wear collection will be unveiled in Paris on Sunday, is like falling down a rabbit hole. Not just because it is in the garment district of New York rather than the École des Beaux-Arts in the Sixth Arrondissement, but also because when you step off the elevator on the 15th floor of his building, you find yourself in front of a glass door without a sign or a logo but with a doorbell and the kind of white louvered shades you normally find in a dentist office or an accountancy firm. And because behind that door is a long gray-walled corridor with a gray terrazzo floor, leading at the far end to two facing doors, which open to reveal men and women running about in variants of the same uniform: gray tailored Buster Brown shorts or trousers cropped to show the ankle; white shirts; gray ties with tie clips, often tucked into the high waistbands of their trousers; shrunken schoolboy jackets; knit vests; pleated gray skirts; and black brogues, all of them working in rooms with the same gray terrazzo floors, gray marble walls and louvered blinds, all of them speaking in hushed tones, united in a single mission: to disseminate the Look of Browne as widely, and virally, as possible. Mr. Browne announced the debut of his first American store dedicated to women’s clothing in June. You’ve heard of the Man in the Gray Flannel Suit? Take that, invert it so that it becomes intricately individual, and detail it for a coed army. 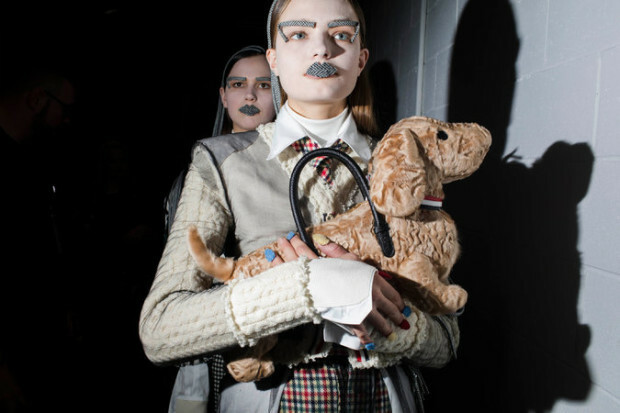 “Huge” may be something of an exaggeration, but it is probably not overstating the matter to say that Thom Browne may be the most underestimated not-just-a-men’s-wear-designer in New York. Which is partly why he is moving his women’s wear show to Paris, too. After all, though Mr. Browne is widely seen as one of the most influential men’s wear designers of the past 10 years, his shrunken midcentury modern silhouettes as popular as midcentury modern furniture; though he has been nominated eight times for the men’s wear designer of the year award by the Council of Fashion Designers of America, and won three times; and though his women’s wear collections are routinely lauded as among the best in New York (retailers like Sebastian Manes, the buying director of Selfridges, say, “He is one of the main reasons I come to New York Fashion Week”), he has never been nominated for a women’s wear designer of the year award. He has never been approached by a big brand to take the reins of a heritage house. When rumors start about what brand might hire what buzzy, young New York name, his never comes up. No conglomerate like LVMH or Kering has ever tried to buy him. And yet last year, his company (which was founded in 2001 and is profitable) brought in $100 million in revenue and is on track to increase that to $120 million to $125 million this year, of which 70 percent is men’s wear sales and 30 percent is women’s, even though women’s wear was just introduced in 2011. (It is currently growing at 30 percent a year.) Thirty percent of the sales occur in the United States, 40 percent in Europe and 30 percent in Asia. Mr. Browne is opening six new stores in the second half of 2017, following three openings so far this year. That makes Thom Browne much bigger than the Row, bigger than Altuzarra and bigger even than Proenza Schouler, and nearly close to the size of Alexander Wang, whose former chief executive, Rodrigo Bazan, left in May 2016 to become the C.E.O. 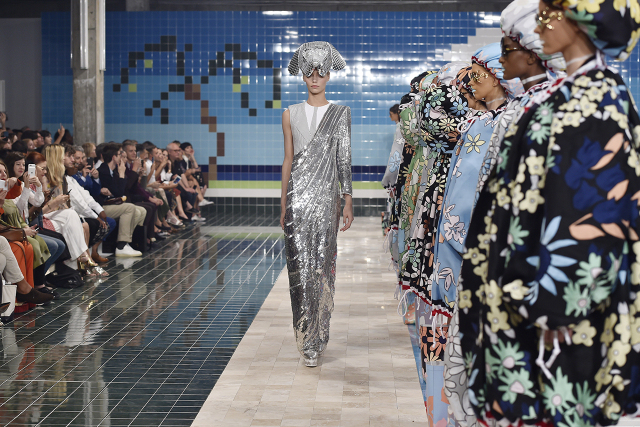 at Thom Browne, an acknowledgment of sorts that of all the third-generation American brands (those that came after the Ralph/Calvin/Donna and Marc Jacobs/Michael Kors eras), Mr. Browne’s may be the one to watch. “It’s a rare brand that is bigger than it appears,” said Kenneth Suslow, a founding managing partner of Sandbridge Capital, the private equity firm that last year bought a majority stake in the company from Mr. Browne’s former majority investor, the Japanese company Stripe International. It was the most significant investment in Sandbridge’s initial portfolio. (It also holds stakes in Derek Lam, Karl Lagerfeld and Tamara Mellon.) Mr. Bazan thinks sales will triple in the next five years. Fans of Mr. Browne’s clothes include not just fashion people like Andrew Bolton, his partner and the curator in charge of the Costume Institute of the Metropolitan Museum of Art, and Solange Knowles, who wore a Thom Browne puffer tuxedo to the last Met Gala, but also LeBron James; Steve Ells, the chief executive of Chipotle; Laurene Powell Jobs; Michelle Obama; and Janis Leigh, the chief human resources officer for Hudson’s Bay Company. 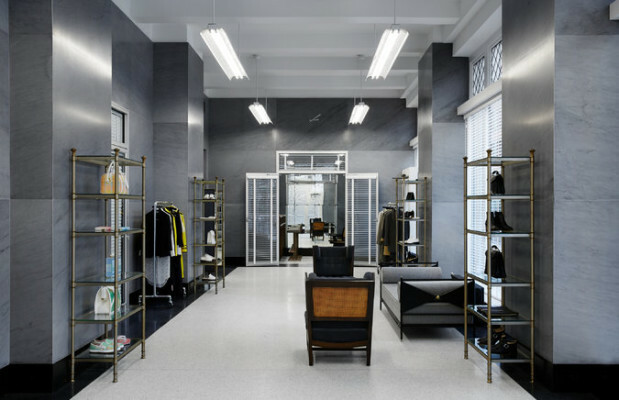 At Barneys, where Thom Browne men’s wear is among the top five most popular brands, Ms. Vitale said she believes his women’s wear can easily occupy the same place. “There’s no one else that does what he does,” she said, referring to his emphasis on classic tailoring with a twist and extreme interior construction. It is possible no American designer has created as fully realized a world in which to frame his work since Ralph Lauren. Indeed Mr. Browne, like Mr. Lauren, was not classically trained, began his career in men’s wear and then moved into women’s wear. Mr. Lauren’s ethos is also rooted in a peculiarly American mythology, though where Mr. Lauren went west, Mr. Browne took on the rise of corporate culture and the suburban dream, then twisted it. Instead of making the wearer seem like a cog in a wheel, Mr. Browne’s suits made him or her stand out. Mr. Browne’s stores, including the recently expanded New York flagship in TriBeCa, which now contains a full-fledged women’s store to mirror the men’s, look like his offices, which look like his home. (Furniture often moves back and forth among them all.) All of his employees get a “generous” clothing allowance to cover shirts, suits and outerwear, and are expected to model the collection pretty much all the time. Mr. Bazan, who wears the de rigueur shrunken gray suit, even when bicycling in Los Angeles, has the wardrobe of his former life in storage. Getting that message out is part of the rationale behind the move to the Paris shows next season, much to the delight of Ralph Toledano, the president of French fashion’s governing body, the Fédération Française de la Couture, du Prêt-à-Porter des Couturiers et des Créateurs de Mode. Mr. Toledano had been discussing the possibility of joining the Paris schedule with Mr. Browne for a while. Part of the problem is that fashion loves the myth of the boy wonder (see: Mr. Jacobs, Mr. Wang, Tom Ford), the story of designers having a moment and seizing it, the buzz of the millions of followers who may or may not actually ever make a purchase. That has never been the Thom Browne narrative. Not to mention the fact that at 51 he’s not exactly a boy. 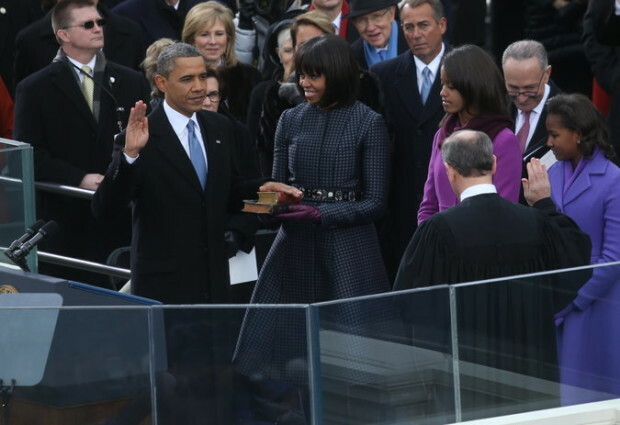 Every time it seems as if Mr. Browne is on the verge of some breakthrough into the popular imagination — winning a Cooper Hewitt National Design Award, having Michelle Obama wear his coat to her husband’s second inauguration in 2013 (and his dress to the final presidential debate in 2012) — it never quite happens. But then he has never been interested in the machinery that makes it happen: the red carpet and Instagram and Facebook and influencers. He has a social media account, but it belongs to his dog (and handbag model), Hector. His biggest current investment, $2 million to $3 million, is in digital, but it is not the digital of documenting his fabulous life; it is the digital of e-commerce. Instead of opening more elaborate stores, he and Mr. Bazan plan to keep them small, like little windows on his world, with approximately 500 women’s (and many more men’s) products available online via a partnership with Farfetch. It is a direct reversal of the traditional equation in which a few pieces are sold via e-commerce, with most held in physical back rooms. Every piece is photographed in-house (two floors above the main offices) before being uploaded, and Mr. Browne oversees the shoots. He is his own stylist. His interest is above all in controlling the message. This is a man who runs eight miles every morning and eats exactly the same breakfast. It took him two years to decide that taking on Sandbridge as an investor would be a good idea. That refusal to compromise has arguably helped create the idea that his vision is inaccessible (or cultlike and uncomfortable) and not relevant to someone just looking for, say, a nice jacket. Or some cool striped socks. His women’s runway shows reinforce this idea: They have historically taken place in the basement of a Chelsea art gallery that Mr. Browne has retrofitted to resemble a Palm Beach swimming club or Washington Square in the Henry James era with a gray flannel pondscape. Occasionally they also involve men in cat and bird costumes. Once there was even a white rabbit.